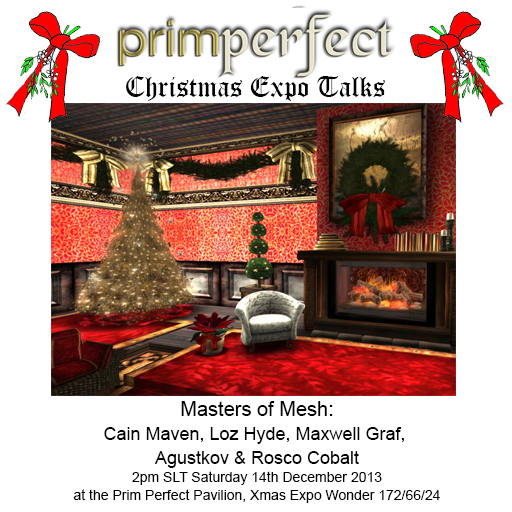 First, at 2pm SLT, we have Masters of Mesh. The designers currently slated to appear are: Cain Maven of Maven Homes & Quantum Luxury Homes, Loz Hyde of MESHWORX, Maxwell Graf of Rustica by Agustkov of Seven Emporium and Roscko Cobalt. 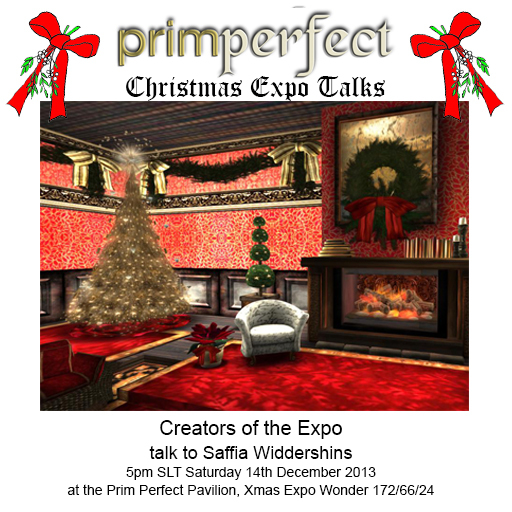 Then at 5pm, for our final talk of the season, we will be talking to dome of the people behind the Expo who have created this fantastic event. They will be explaining some of the work that goes in to an event like this – and answering your questions too! To find out how you can watch the event, read all about it here.